Yahoo Messenger is no more. Oath, the Verizon subsidiary which owns Yahoo and AOL, is shutting down the ancient messaging service. Yahoo Messenger will stop functioning on July 17, with users having six months to download their chat history. Yahoo Messenger has been with us for 20 years Yahoo Messenger and 6 More Windows IM Apps Still Kicking Around Yahoo Messenger and 6 More Windows IM Apps Still Kicking Around The rise of chat rooms and instant messengers was a hallmark of the early internet. These tools continue to define our everyday virtual interactions. Do you know which of the pioneers are still around? 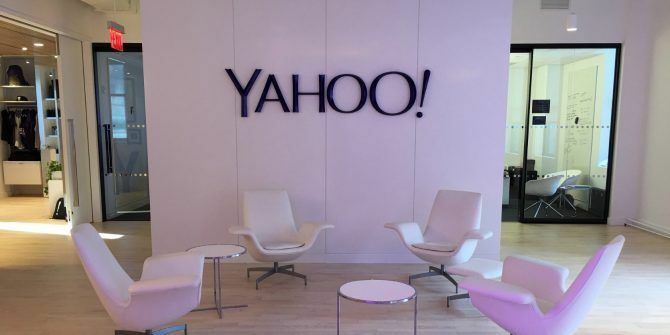 Read More , originally launching as Yahoo Pager in 1998. This was Yahoo’s alternative to ICQ, and was extremely popular for a time. But now, with much better options available, Yahoo Messenger is saying goodbye. Messenger users can carry on using the service until July 17, 2018. At which point Oath will be pulling support and discontinuing the service. You’ll then have six months to download your Messenger chat history by visiting Yahoo’s download request site. To this end, while Yahoo isn’t offering a direct replacement for Messenger, it’s advising users to try Yahoo Squirrel. This is an invite-only group messaging app that’s currently in beta, and Messenger orphans can request an invite at squirrel.yahoo.com. Yahoo Squirrel is far from the only option, however, with Facebook Messenger, WhatsApp, Snapchat, Telegram, and Signal all being perfectly good alternatives. Still, for those of us of a certain age, Yahoo Messenger was the last remaining old-school option. While it’s a sad day when a service as old and iconic as Yahoo Messenger disappearing, its death was overdue. The handful of people still using Yahoo Messenger means it simply isn’t worth Oath spending time and money bringing it up to date. Yahoo Messenger is the latest in a line of old tech products and services to be killed off recently. In December 2017, AIM ceased to be AOL Instant Messenger Is Finally Saying Goodbye AOL Instant Messenger Is Finally Saying Goodbye You might be surprised to discover that AOL Instant Messenger (AIM) is still a thing. You may be less surprised to learn it's now being killed off for good. Read More , and in May 2018, Klout was put out to pasture Klout Shuts Down and Your Klout Score Is No More Klout Shuts Down and Your Klout Score Is No More Klout is shutting down, and your Klout Score is disappearing with it. And you're either just learning Klout still exists, or are scratching your head in confusion right now. Read More and it was announced that StumbleUpon is shutting down StumbleUpon Is Shutting Down After 16 Years StumbleUpon Is Shutting Down After 16 Years StumbleUpon, one of the early web pioneers, is shutting down. Its creator, Garrett Camp, hopes you'll move to his new discovery platform called Mix. Read More too. Explore more about: Instant Messaging, Yahoo. Wow, I'm really starting to feel my age. I remember when AIM and Yahoo! were almost magical compared to rapid fire emails. I suppose the writing was on the wall for YIM when AIM went belly up though. I just hope that Trillian doesn't die next. I fled to its arms when AIM went kaput and it would make me very sad to have to find another new home. Sorry, but Skype is best for video calls, not text heavy IM writing collaborations like I do, and I'm sure I can't be the only one that feels that way.